Our initial trip of the year takes us first to the Berkshire/Hampshire borders - to the 10 acres of dynamic gardens which is Malverleys, RG20 0AA. Only created in the last 5 years, there are contrasting yew hedged rooms, a stumpery, a vegetable garden and magnificent borders with open views of the countryside. Seldom open to the public, we have managed to secure a private visit to coincide with their tulip season. In 2017 they only opened twice under the NGS Scheme, allowing only 30 ticketed visitors each opening. Understandably they were soon sold out. We have been privileged to be allowed to be one of the first groups to visit. Monty Don was there for Gardeners World in July and loved the "Dixter" inspired planting style. We will be split into 2 groups to have a private tour - half taken by the head gardener, Mat Reese, and the other half by a fellow gardener at Malverleys. This will then be followed by tea/coffee and cake. 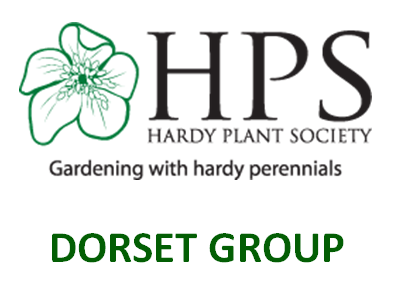 Then on to Hardy's Cottage Plants, which we last visited in 2012, for a tour by Rosy Hardy and a chance to peruse and buy some of the wide selection of more than 1200 types of plants available in the nursery. If you want to order specific plants in advance, you may pick them up from the nursery. Tea and cake will also be served. You will need to bring a packed lunch to eat on the coach as we travel between the 2 venues. Hanham Court Gardens, BS15 3NT. When they arrived in 1993, all that existed in the gardens was grass and leylandii. Over the 20 years that they lived there they designed a sympathetic and deeply romantic garden, with a reputation that takes it far beyond Hanham. The current owners, Richard & Julia Boissevain have revitalised the garden over the past 2 years and are now opening it to the public, via the NGS, or as a wedding venue. We shall have a tour, followed by tea/coffee and cake. Then on to Derry Watkins' garden & Special Plants Nursey, which we last visited in 2011. Derry has introduced so many plants from her plant collecting trips to South Africa and elsewhere. The result is a collection of unusual plants from all over the world, including an amazing range of hardy, herbaceous and rockery plants as well as many tender perennials for terrace and conservatory. Plants may be pre-ordered and collected on the day. Tea and cake will also be served. Here is an opportunity to enjoy a day out at the world famous RHS garden at Wisley, without having to worry about the driving! This will be our second visit to an RHS garden in 2 years. The RHS vision is to enrich everyone's lives through plants, and visiting Wisley will give us a chance to see the plants at their very best. We can see how they should be grown and may benefit from the expert knowledge of the RHS staff. In addition, our visit will coincide with their 26th Annual Flower Show. Last year that included 55 nurseries and trade stands selling plants, a Surrey NAFAS flower display, That National Dahlia Society Annual Show as well as all the "usuals". Check out their website for more details www.rhs.org.uk/gardens/wisley/RHS-Garden-Wisley-Flower-Show as precise details for 2018 were not available at the time of booking. Please note, you do not need to be a member of the RHS to come on this trip. Return Coach travel departing from Colehill at 9 a.m. and from Ringwood at 9.20 a.m. There is a restaurant serving home-cooked food using local produce, light snacks and cakes. Alternatively you may choose to bring along a packed lunch. There is also an excellent Plant Centre (and of course the Flower Show) with a wide range of plants for sale. You are free to spend your time as you wish. We would expect to be back at Colehill by about 6 p.m. depending on traffic.